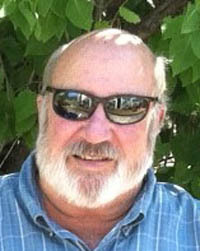 Dwight Burr Smith Jr. (Burr), 66, of Hailey, Idaho, passed away on March 16, 2014. Burr was born in Seattle, Wash., on Nov. 12, 1947, the son of the late Dwight and Patricia Smith. Burr owned a construction business doing work in the valley area. Burr is survived by his brother, Cameron; son, Dwight, with wife; and grandson Parker. There will be a memorial service held in June of this year in Hailey for family and friends of Burr.